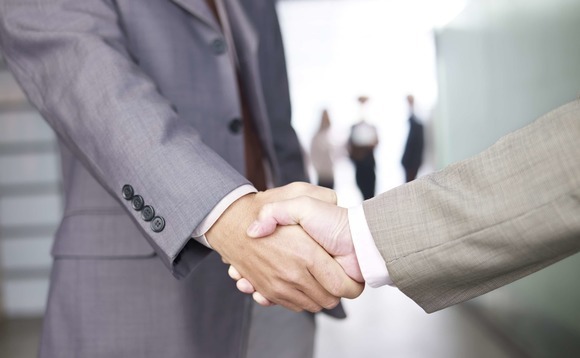 Fidelity International has named Stefan Hirter to head up its sales operations in Switzerland. 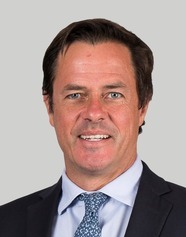 Hirter, who is based in Zurich, joins Fidelity from Credit Suisse, where he had most recently been been head of wholesale fund distribution for Switzerland and Liechtenstein. According to Fidelity, he will be tasked with growing the asset manager’s relationships with banks, insurers and wealth managers in the Alpine country, and strengthening its market position in Switzerland’s German-, French- and Italian-speaking regions. Investec Asset Management has named Peter Baird managing principal for its Africa Private Equity funds operations, a newly-created position. Baird, who will be based in Cape Town, comes to Investec from Standard Chartered Bank in Johannesburg, where he led its African private equity business and, according to an Investec statement announcing his appointment, helped to assemble a portfolio comprising 11 companies worth around US$900m. At Investec, he will “work with the firm’s well-established Africa Private Equity investment team to provide leadership”, which currently manages two funds, the company said. Investec Asset Management first established an African private equity capability almost a decade ago, with the objective of supporting the creation of what it calls “local and regional champions” in their respective industries. Its private equity team forms part of Investec Asset Management’s growing Africa Private Markets platform, which has evolved to cover unlisted credit and infrastructure, including its developmental Emerging Africa Infrastructure Fund. Christine Johnson, head of fixed income at Old Mutual Global Investors, is to leave the company, in the wake of a strategic review, OMGI has said. In announcing Johnson’s departure this week, Old Mutual Global Investors, the investment arm of Old Mutual Wealth, said the review had resulted in a number of senior appointments that meant that her role as head of the team was no longer necessary. It said the departure had been by mutual agreement. Over the past two years, the company’s appointments to its fixed income operation have included John Peta, as head of emerging market debt, in March 2015, and Tim Barker, who was promoted to head of credit in December, 2015. In June of last year, Mark Nash was named head of global bonds. The two funds Johnson retained co-management responsibilities for until now will, OMGI said, continue to be run by their current co-managers. OMGI said there would be “no change to the investment objective or policies of these funds”. 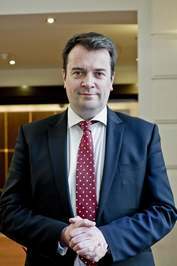 Johnson joined Old Mutual in September 2010, and was named head of fixed income in October 2013. In a statement accompanying the announcement of her departure, Johnson noted that her tenure at OMGI saw the creation of “a highly experienced and successful fixed income desk”. “With the team in place for nearly nine months, a head of fixed income is no longer required,” she added. HSBC said it has named Andrew Wild, pictured, head of Commercial Banking for Continental Europe. Wild has been head of Commercial Banking and deputy CEO for HSBC in France, and will continue to exercise those responsibilities until further notice, according to HSBC. He will relocate to London “in due course”, the bank said. HSBC said Wild’s 22-year career in financial services had seen him working in mergers and acquisitions, debt advisory and ECM, before he joined the bank in 2005. 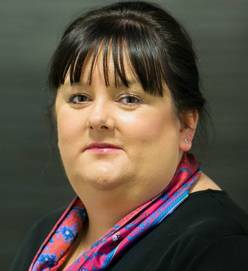 In a separate but related move, HSBC said Amanda Murphy, right, has been named head of commercial banking for HSBC UK, its new, ring-fenced bank, created in the wake of recent UK legislation, and is relocating to Birmingham from London to take up the role. In this role she will be responsible for the management of the commercial arm of the bank, which currently has more than 1.1 million UK customers, HSBC said. Murphy has more than 22 years of experience at HSBC, and most recently served as HSBC’s co-head of corporate banking in the UK. Other roles have seen her working for HSBC in Europe; the Middle East; North America, and Asia-Pacific, where she was head of Commercial Banking in Indonesia. Both Wild and Murphy are assuming duties previously handled by Ian Stuart, who was recently named the first chief executive of HSBC UK. HSBC currently has more than 2,500 employees based in Birmingham, and has said it is planning to move more than 1,000 additional head office roles there to its new HSBC UK office there, from London, over the next couple of years.